I personally have many WordPress site on localhost to try stuff, can be plugins, and even copied my live sites to localhosts too. And if you want to explore WordPress before sign up in a webhosting company, I really recommend you to do this in your local computer first. 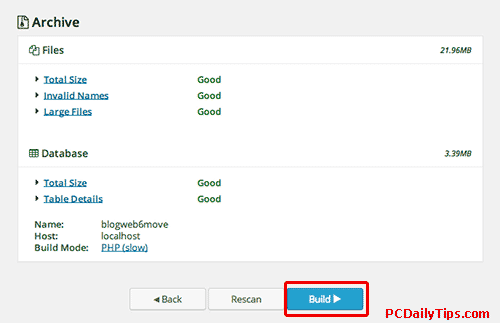 Click this link, if you want to know I move a WP site to a new server in same domain. After you are comfortable enough with WP, then you can transfer WordPress from localhost to server that you preferred. You can do this manually, and using plugin. 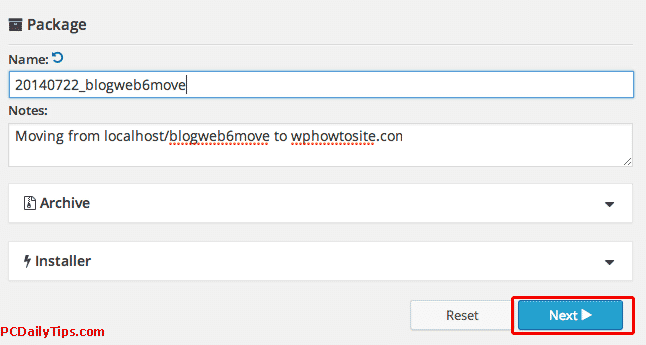 In this post, I will show you how to use this Duplicator plugin to move WordPress from localhost to server. You can obviously replace it with your local WP site, or a domain name even. 1. 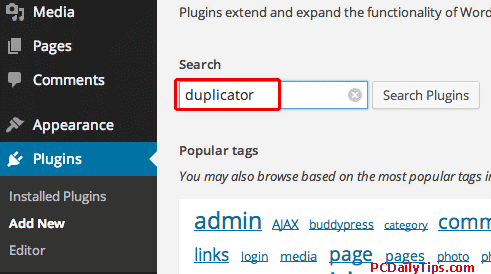 Install and activate Duplicator Plugin, by going to dashboard → Plugins → Add New, and type “Duplicator” in search box. It’s created by LifeInTheGrid. 3. Create new package, by clicking “Create New” tab on the top. 4. For the package Name, I will personally name it more specific to our blog name, so we know what package this is. I add my blog url to the end of the “underscore” character, as blogweb6move. For Notes, I just type a short description of this package. 5. This is what you will likely get after the scan. 6. It will show you the “Build Status” and you can now download the Installer and Archive files to your computer. 7. Next, we are going to upload these two files to our webserver in your domain root directory, you can do this either with FTP client or cPanel direct access. 8. 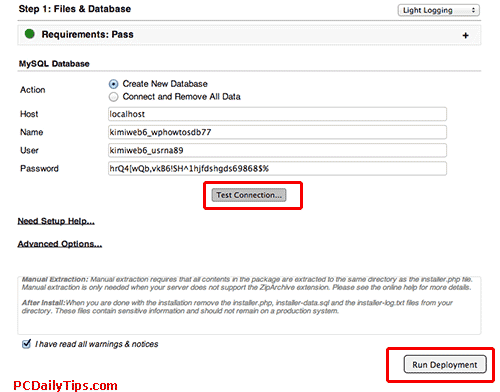 Create the dabatase, the database user, and add this user to the newly created database. Note down these data in a notepad or your preferred text editor. 10. 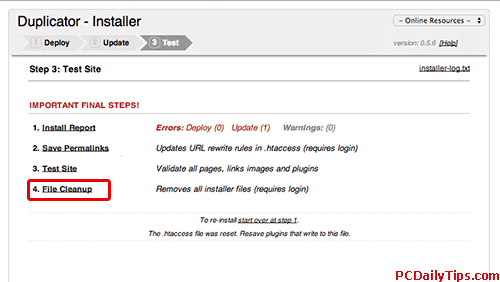 This will open Duplicator installer page, and prompt you to add the database data we created on step 8, and click “Test Connection“. If things go ok, you will see both “success” messages in Server connected and Database found messages. 12. When the process is done, you can see these options. 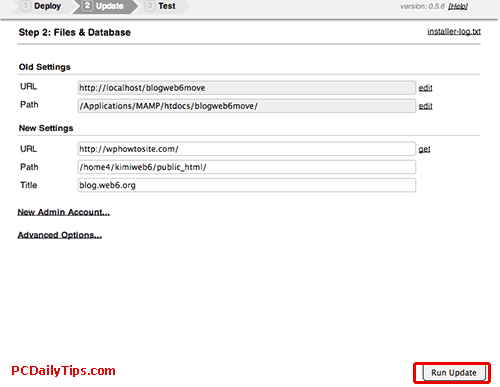 Now you can check your website, login, and check backend and front end – it should work. If you check your site and permalinks not working, then you need to manually re-save the permalinks. The most important step here is cleaning up the file or delete these files, as you don’t want the files are downloaded by random people.